Dine And Win At Fraser Residence Kuala Lumpur This Festive Season! 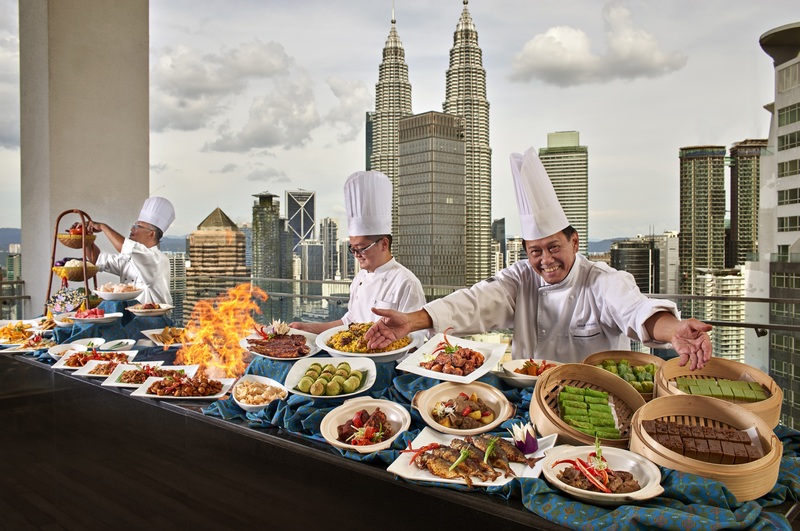 Helmed by Executive Chef Mansor, with over 20 years of experience in renowned hotels, he will introduce a buffet spread that features local specialties presented in ‘kampung-style’ stalls and live cooking stations. The hotel’s culinary team will present over 100 traditional authentic Malay and local delights such as Nasi Briyani Gam, Gulai Kawah, Kari Kepala Ikan, Aneka Satay, Ikan Bakar, Kambing Panggang throughout this holy month. Diners can also enjoy their grilled or roasted lamb that are served from the carving stations whilst waiting to be lathered in a variety of sauces. Look out for the tempting desserts, where diners will definitely be spoilt for choice with assortment of delectable palates ranging from westernized desserts to local favourites such as kuih-muih. A variety of international and local favourites are available for diners to spoil their choices in. The Ramadhan Buffet promotion is made available from May 19 – June 13, 2018, 7pm to 10pm daily. Diners will also stand a chance of winning a complimentary stays and dining vouchers at Fraser Residence Kuala Lumpur throughout this festive period.